Volkswagen Passat Estate Boot Space, Size, Seats | What Car? 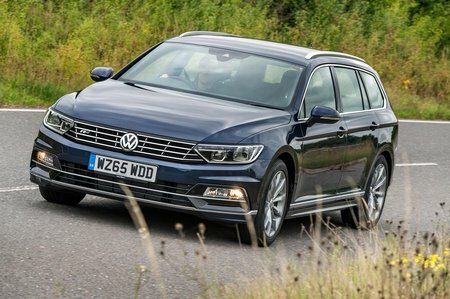 The Passat Estate is about the same size as the BMW 5 Series Touring and Audi A6 Avant, so it offers more space than the BMW 3 Series Touring; even very tall drivers will be happy, while tall door opening make for easy access. There are plenty of useful storage areas at the front, including a central cubby that doubles up as a cushioned armrest and will take a small bottle. The glovebox can be cooled to keep your lunch fresh, while you can plug your phone into the USB socket and stow it out of sight. Access through the broad door openings is good and two adults will have loads of space to stretch out and get comfortable in the back. However, a relatively chunky central tunnel and protruding centre console make things a bit uncomfortable for a middle passenger. Map pockets are standard across the range, and SE Business trim adds two cupholders in the rear centre armrest. All models get 40/20/40 split rear seatbacks with a through-loading hatch in the middle, leaving room for people either side. All versions get levers in the loadbay to allow you to fold the spring-loaded seatbacks from the boot opening. 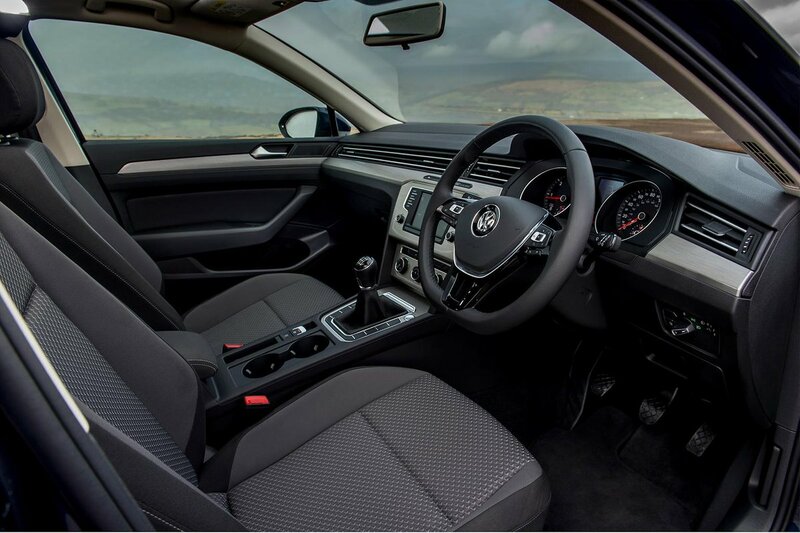 Manual lumbar adjustment is standard for the front passenger across the range and even that is easy to use. Meanwhile, 14-way electric seat adjustment for the passenger is optional on all but S and Bluemotion trims. 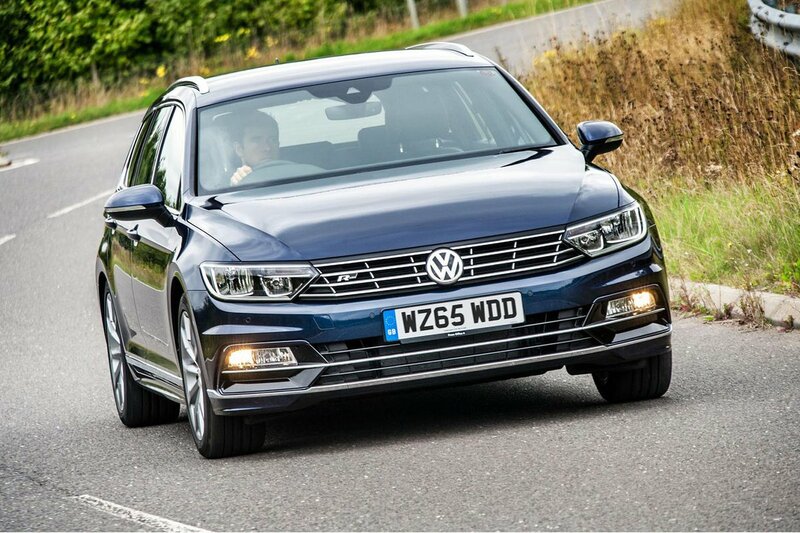 The Passat Estate’s boot is massive, well shaped and only beaten by the Skoda Superb Estate’s. It dwarfs those in rivals such as the A4 Avant and 3 Series Touring. The load lip is fairly low, so you don’t have to lift items very far to be able to slide them into the boot, and being able to drop the seats one-handed from the boot opening is a big help. You even get a variable-height boot floor as standard. While making a separate storage area for delicate items, it irons out the step in the load bay when the seats folded. There are also further storage packs, including a fairly pricey cargo management system that brings four sliding tie-down rings and straps on top of the standard four fixed lashing eyes and two bag hooks. An electrically powered bootlid is optional across the range.